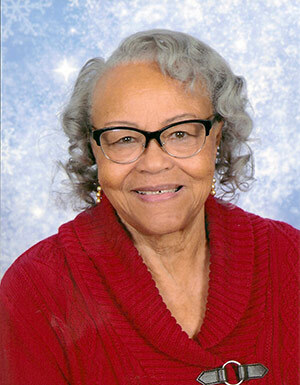 Geraldine M. Law began her career as a teacher aide at Birney Elementary School in 1965. She found she was committed to working with children and found out she loved it and was very good at it. She worked with the PTA and the community and gained much experience in working with children and people. In August 1968, she was given the opportunity to become the Director of the day care center at Matthews Memorial Baptist Church thus beginning a career which is now called Early Childhood Education and Administration. Mrs. Law held this position until 1980. Having in depth knowledge of opening and running an early childhood business, Mrs. Law spent the next three years providing consulting services to others who were interested in providing quality child care in their communities. Finally, in July of 1983 she decided she really missed the day-to-day hands-on experience of reaching out to the parents and children in her community. Therefore, Kids Are Us Learning Center, Inc. was born with an enrollment of 10 children at Parkside Terrace Apartments on 9th Street, SE. By September she had enrolled 40 children to full capacity. Over the past 25 years, Mrs. Law and Kids Are Us Learning Centers has been a mainstay in the Ward 8 Community, but more important is the fact that this dynamic trailblazer has served the Ward 8 Community for 40 years. Many opportunities are provided not only for the children, but also the parents of Kids Are Us Learning Centers. Kids Are Us Learning Centers have been accredited through the National Association for the Education of Young Children for 11 years. There are two locations in Ward 8 with a total of 73 children enrolled. In 2002, Mrs. Law received a proclamation from the Mayor during the celebration of “Week of the Young Child”, which was organized by Kids Are Us Learning Center and included the participation of Ward 8 early child care centers. Mrs. Law is a member of the Washington Association of Child Care Centers, the National Association for the Education of Young Children, and also a board member for the District of Columbia Association for the Education of Young Children. Additional projects she has been involved with include the Mayor’s Strengthening Partner’s Initiative (SPI), and the Early Childhood Leadership’s Institute – Taking Charge of Change.